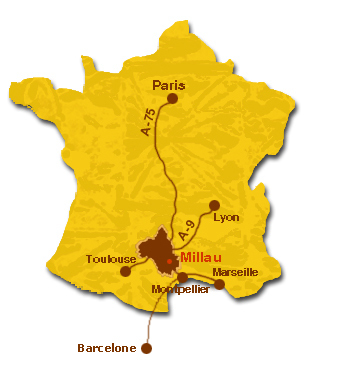 Cycling holidays in South of France: Individual Very Light Cycling tours. for info on cycling tours in the region of your choice. 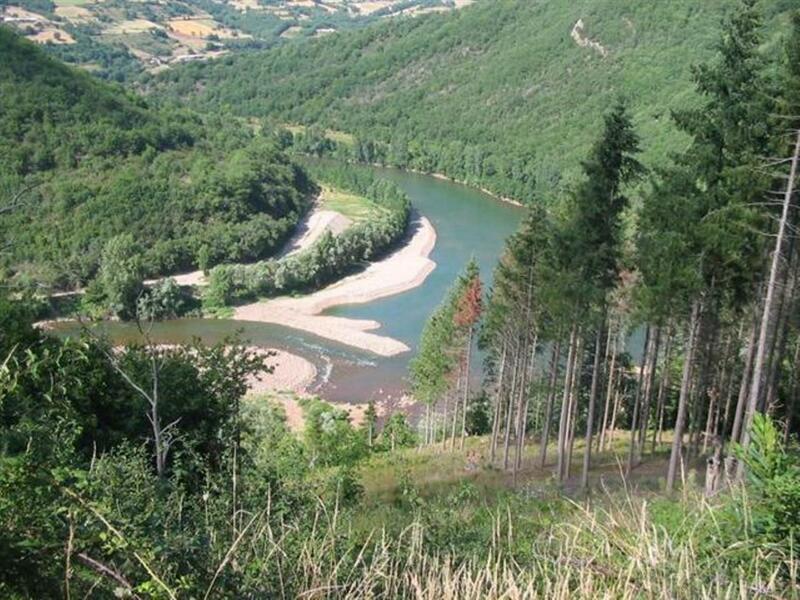 Our home-base in France: The Grands Causses Nature Park in Aveyron. 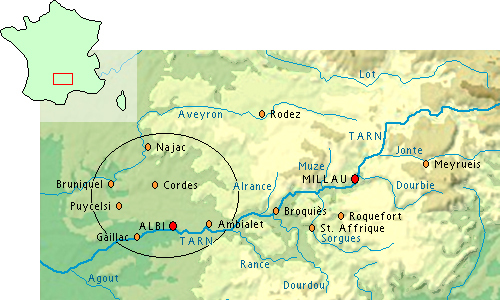 in Tarn Valley, the Gorges du Tarn, Pays de Roquefort. Bike tours in Provence, Dordogne Valley, Corsica and Cathar country. 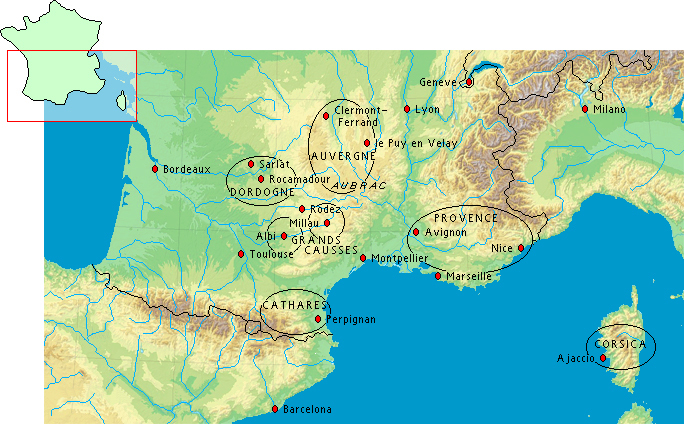 Years of cooperation with local suppliers, hotel keepers, taxi drivers, local Offices de Tourisme (Comit?D?artemental de Tourisme (CDT) de l?Aveyron) and designers and with maintenance workers of walking trails resulted in our Southern France network. As direct seller and E-touroperator, working with the same hotels as other international tour operators operating in the same area as we do, we can quote competitive rates and still have an outstanding personalized service. Especially for parties of 3 and more persons we have rather attractive small group discounts. The very light cycling tours of La Ligne Verte are meant for holidaymakers who first of all want plenty of time to visit all the interesting places and time to stop on the way for a pause, time for taking pictures or for bird, plant- or insect watching. Daily distances will not exceed 40 kms and cycling time will be no more than 4 hours a day. These tours are also well suited for families with small children, with enough opportunities to stop for a swim in a river or lake or have a canoe trip. Level 1 and 2 ( out of 7) : flat and rolling with exceptionally a small short and light climb. Every night an other hotel; you can book extra nights in any of the hotels. Albi and Haute Vall? 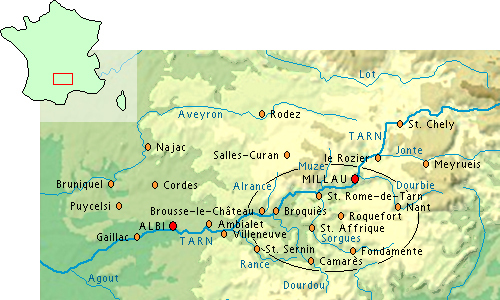 du Tarn.